The University of the Third Age is a self-help organisation for people no longer in full time employment providing educational, creative and leisure opportunities in a friendly environment. It consists of local U3As all over the UK, which are charities in their own right and are run entirely by volunteers. Local U3As are learning cooperatives which draw upon the knowledge, experience and skills of their own members to organise and provide interest groups in accordance with the wishes of the membership. The teachers learn and the learners teach. Between them U3As offer the chance to study over 300 different subjects in such fields as art, languages, music, history, life sciences, philosophy, computing, crafts, photography and walking. Further details of the regular meetings and Interest groups can be found on this website. Wilmlsow U3A AGM was held on 27th March - several new committee members were elected - in particular, Christine Foreman was elected as Chairman to replace David Simmons who stood down after 3 years as Chairman. David was elected to stay on the committee as Deputy Chairman. Details of other committe appointments will be posted here shortly. Anne Grace is organising a group holiday to Arnside in November 2019 (an early Christmas and New Year celebration!). See the relevant interest group pages for further information. See Science Group page for details. Venue – the Tearoom at Morley Nurseries, Altrincham Road, Wilmslow SK9 4LY – 2.30 and 4.00. It is a relaxed setting, and tables will be set aside for us to meet fellow members and treat ourselves to cups of tea/coffee and/or cake etc. All are welcome. Just turn up! Some new interest group tabs/pages have been added - 'Choral and Organ Music' and pages for details of 'New groups' and 'Other Activities'. Click on the 'Interest Groups tab and select the ones you might be interested in! See NE Cheshire Network page - information about Open Interest Groups (in which you may participate) with other U3As within the network. We are always looking to start new groups - if you have any ideas or would like to start a new group, please contact Mike Redfern (interestgroupscoordinator@wilmslowu3a.org.uk) or 01625 535841. If you know of anyone else who might be interested, even if they are not yet a U3A member, encourage them to give it a try. 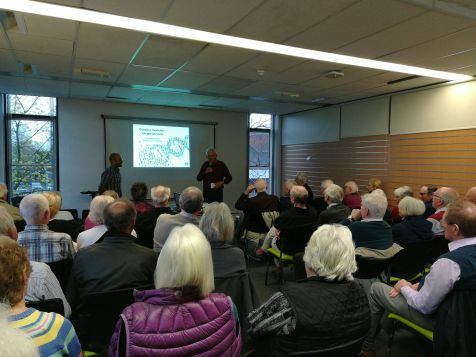 We mention U3A activities available locally on this web site - however, a range of facilities including news and events are provided nationally and regionally. For more information, please refer to the U3A magazine "Third Age Matters" (sent free of charge to all Wilmslow U3A members) and to the regional U3A web site www.u3asites.org.uk/north-west.